1: Don't Bleed on the fabirc. 3: It is not a mistake... it is a creative opportunity. 5: Rules? THERE ARE NO RULES! Oh the colors and textures are blissful. There is always room for Sit and Stitch Thursday! During shop hours we are here to help you with your project, spread out or just socialize for an afternoon. It is also a great time to use our Accuquilt Cutter with lots of dies. Sit and stitch is FREE...Cutting Service is $5.00 an hour. 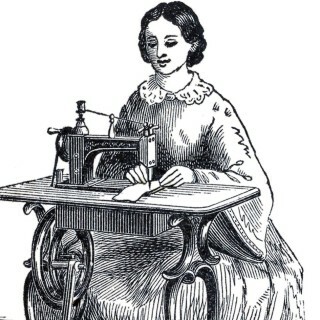 We also offer drop off and pick up for Chris of Sew Happy Machine Service and Repair. Save his house call fee and drop off and pick up at the shop.